Try me… – …STILL CRAZY AFTER ALL THESE YEARS! 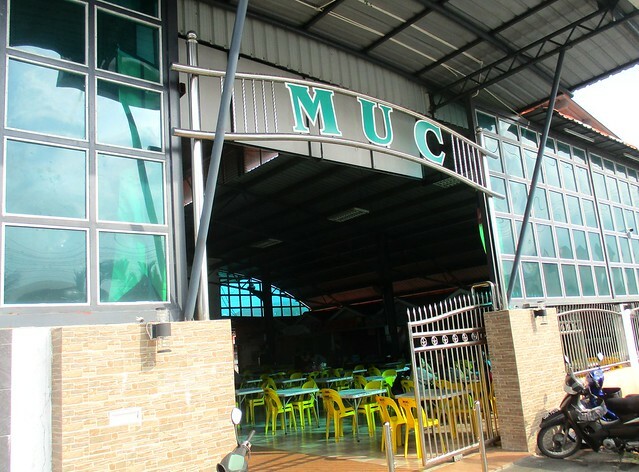 …requested to be added as my friend on Facebook and invited me to drop by and give their cendol a try. Gee! If my girl could get her transfer here, it certainly would be very convenient for me to come here on a more regular basis. …sessions but I have yet to do so. I understand that the proceeds will go to charity – in aid of some orphans, if I am not mistaken. …I asked for the one with pulut (glutinous rice) and when I shared the photograph on Facebook, a Malay friend of mine commented that she would prefer the Chinese ones. Gee!!! I did not know there would be any difference…but come to think of it, it seems that there is. I’ve tried the ones at some Malay shops and stalls but none tickled my fancy especially those that added rose syrup to the shaved ice – I cannot stand the smell/taste. Thankfully, they did not do that here but they used evaporated milk and gula apong (our local nipah palm sugar) – I prefer santan (coconut milk) and gula Melaka (palm sugar). …especially on the very hot days that we are experiencing right now and the pulut was good, something like what you would get in those ketupat lemak, but they would need to do something about the red beans – they were hard. I did cook some the other day and I had to soak the beans overnight and cook them for some three hours or so…before it was soft enough but still not quite the way I like them, mushy but still whole. 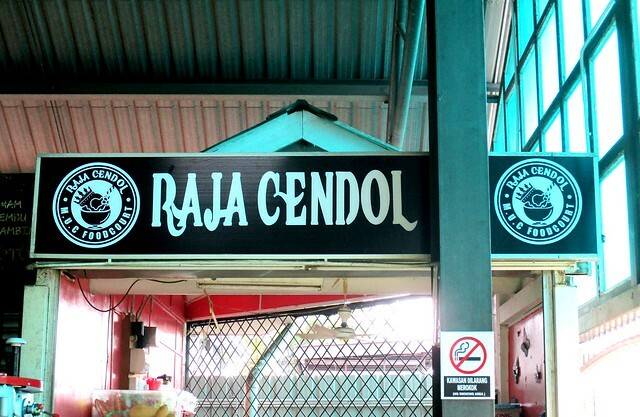 The RAJA CENDOL stall is located at the DEWAN MUC FOOD COURT/HAWKER CENTRE (2.313658, 111.825056) along Jalan Jasmin, off Jalan Bandong, more or less opposite the primary school there, on your left if you turn left into that road from Bandong Walk. I would love to try pulut with cendol but I have not seen any place selling it like that here. I had it in Sg Petani, I’m sure they have it somewhere where you are. Not the thing here, so far here, this is the only place…I think. I don’t think I ever come across glutinous rice in our cendol over here. I prefer cendol with gula Melaka and santan instead of evaporated milk too. Nice and refreshing for a hot hot day like these days. In the past, I only had the Chinese ones here, always santan…until I went to Kuching, evaporated milk but I quite liked it. Some, they mix. 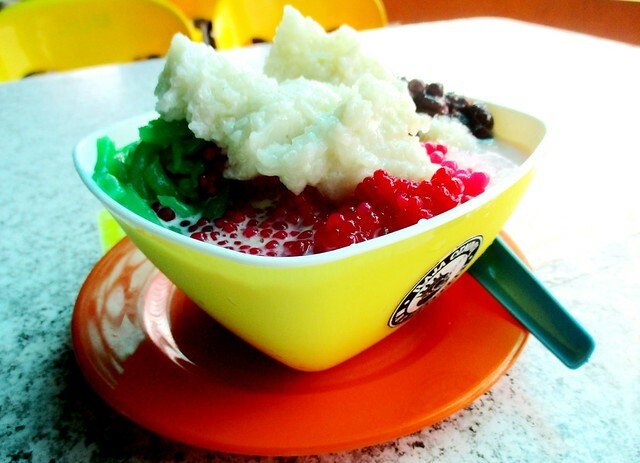 I first had cendol pulut when I went to Sg Petani to visit my girl – I liked it, much nicer than this one here. 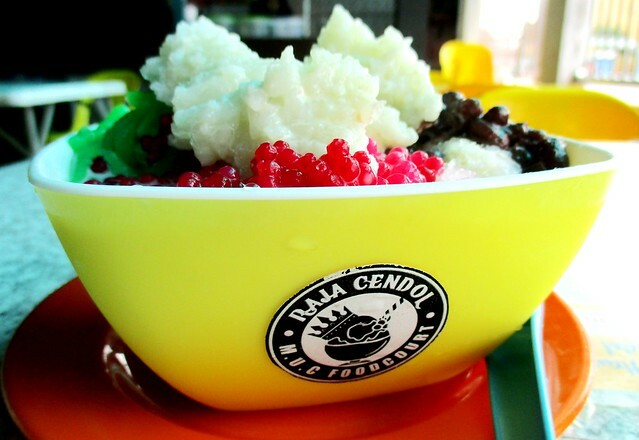 You can have cendol durian too, RM25.00 – no, thank you. Thomson Corner cendol is still the best! I would agree 100%. The red beans are always cooked to perfection – mushy but still whole, just the way I like it. 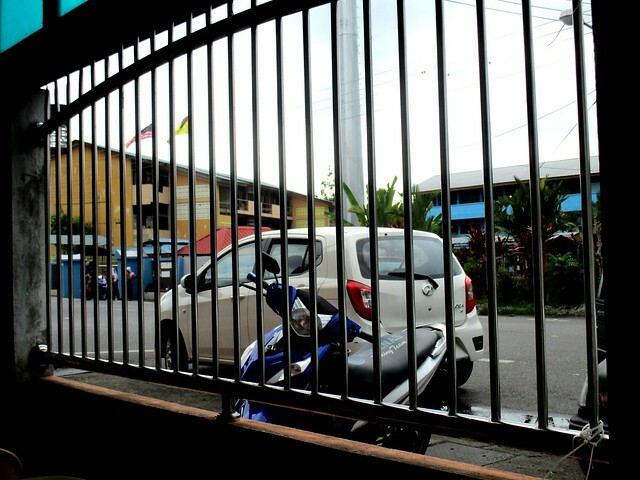 The workers are very obliging too – I would always tell them, tambah santan, tambah gula Melaka. Rose syrup would be overly sweet. Yup, I go for the Chinese one. Lol. Red beans must be cooked thoroughly. Tough? Certainly not acceptable. Lol. Not tough, hard! I did not enjoy it at all. As for rose syrup, it’s not the sweetness that I do not like, it’s the essence smell…or what some may call fragrance. 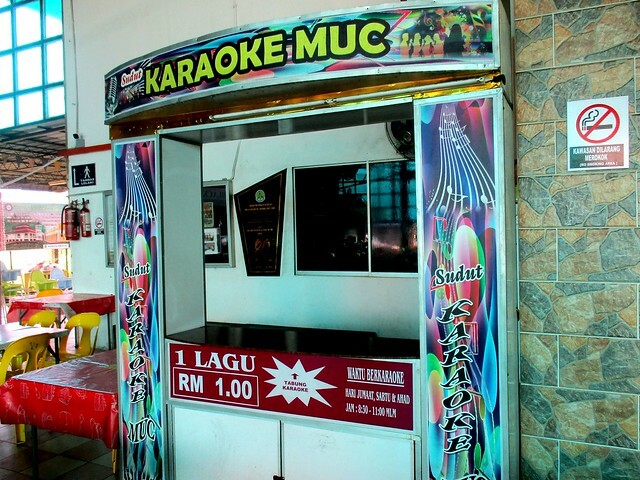 Thankfully they do not add that here – they do it a lot at Malay stalls at shops. They seem to like all those bright colours very much. Now I have craving for cendol. Bet you can get really good ones there, with rich coconut milk and gula Melaka.